Amazon is boosting production of its Kindle Fire tablet, thanks to immense pre-order demand. Amazon founder and CEO Jeff Bezos said the company is "increasing capacity and building millions more than we'd already planned." 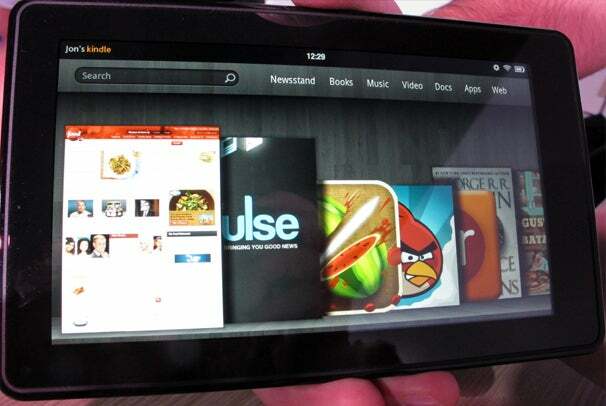 The Kindle Fire is Amazon's first Android tablet device; the device launches Nov. 15 and costs $199. It's not the most tricked-out tablet -- it ships with just 8GB of memory (and no expandable memory), no camera, and no 3G, but its sub-$200 price tag and the fact that it runs Android (albeit Android 2.3) appears to be more than enough to get people riled up. Amazon has high hopes for the upcoming holiday season. According to Bezos, "Sept. 28 was the biggest order day ever for Kindle, even bigger than previous holiday peak days." "In the three weeks since launch, orders for electronic ink Kindles are double the previous launch," Bezos said in a statement. In addition to the Kindle Fire, Amazon also introduced the Kindle Touch 3G, which sells for $149; the Kindle Touch, priced at $99; and the Kindle, which retails for $79. Tablets are expected to be a hot item this holiday season. According to a recent report by the Consumer Electronics Association, everybody wants a tablet for Christmas. In fact, tablets are second only to clothes on adults' holiday wish lists, and first on adults' holiday consumer electronics wish lists. After tablets on the consumer electronics wish list, people want laptops, TVs, e-readers, and video game consoles. After tablets on the overall list of gifts, people are looking for laptops, peace/happiness, and money. The association said consumers plan to spend, on average, $246 on electronics gifts this season -- and with the Amazon Kindle Fire tablet, that's actually a doable price. Amazon also released its third-quarter earnings report Tuesday afternoon. According to the report, Amazon's sales are up 44 percent to $10.88 billion. However, net income is down 73 percent to $63 million, compared to $268 million in the third quarter of 2010.